You'll soon be knitting enchanting things you didn't know were within your powers. 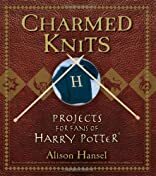 Charmed Knits offers dozens of patterns for items that evoke the mystique of Harry Potter - a Wizard Robe, an Invisibility Shawl, a Quidditch Sweater, Ron's Ragg Raglan, a Clock Blanket, Harry Christmas Ornaments, and more. Easy-to-follow patterns, color photos of the finished projects, and illustrations of special stitch patterns and design elements make it easy for all knitters - from beginners to those at Mrs. Weasley's level - to work knitting magic. Charmed Knits whisks you away on a wonderful journey. Along the way, you can pick patterns inspired by the Weasleys, stock up at Diagon Alley, show your house colors, conjure up gifts, or create pieces to help you feel at home in the magical world of Harry Potter. About Alison Hansel (Author) : Alison Hansel is a published author. 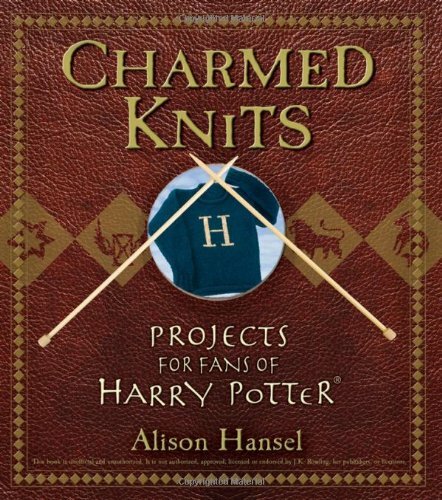 A published credit of Alison Hansel is Charmed Knits: Projects for Fans of Harry Potter.